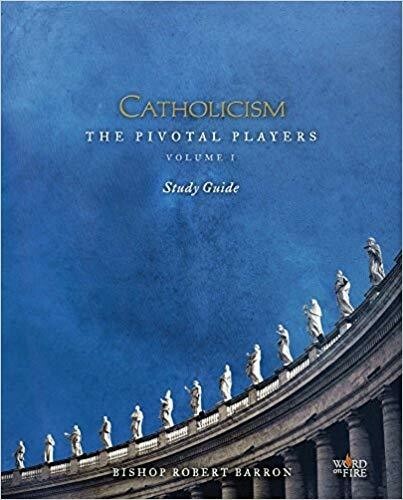 The Study Guide for CATHOLICISM: The Pivotal Players is the best way to immerse yourself fully into these holy men and women. Whether you use it for personal formation or host a complete Study Program for your parish or group, you ll go deeper with top experts from around the world, including: Fr. Raniero Cantalamessa, Franciscan priest and preacher to the papal household (St. Francis of Assisi) Dr. Matthew Levering, renowned Catholic theologian and Thomistic scholar (St. Thomas Aquinas) Fr. Paul Murray, O.P., Dominican preacher and spiritual master (St. Catherine of Siena) Fr. Ian Ker, world's leading Newman scholar (Bl. John Henry Newman) Dale Ahlquist, founding president of the American Chesterton Society (G.K. Chesterton) Dr. Anthony Esolen, professor of Renaissance English Literature at Providence College (Michelangelo) The Study Guide commentary was compiled under the direction and approval of Bishop Barron. Each Study Guide lesson provides details about the Pivotal Player s life and contributions to the culture. In addition, you'll find Questions for Understanding" that support the teaching in the video and reference Scripture verses and sections from the Catechism of the Catholic Church.You'll also find several Questions for Application" in each lesson to help you connect the material to your own life and experience.